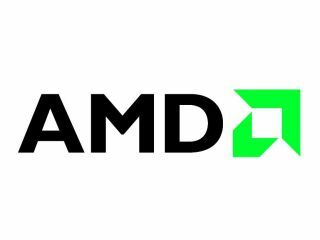 AMD announces its new super-affordable $99 quad-core Athlon II X4 620 CPU this week, the latest addition to the company's mainstream desktop platform. The Athlon II X4 is based around AMD's K10 microarchitecture found in its Phenom and Phenom II processors, but with half the transistors of a Phenom II X4 processor (and also with no cache, compared with the Phenom II's 6MB). However, the real news is that the platform – made up of the Athlon II X4 processor alongside AMD's 785G chipset and an integrated ATI Radeon HD 4200 graphics component – is set to cost a shade over sixty quid! The Athlon II X4 620 CPU offers 2.6GHz core speed (with a slightly speedier 630 option offering up to 2.8GHz) and full support for DDR2 or DDR3 memory modules. By way of comparison, Intel's cheapest quad-core CPU is the $150 Core 2 Quad Q8200. Or for $200 of course you could opt for an Intel Core i5-750. But remember that we are talking about the super-budget end of the PC market here, right? And while dual-core chips are still the option of choice for gaming, AMD's latest cheap quad-core chips are just the ticket for those that want to use their PC for video-editing, media encoding, photo manipulation and editing and running lots of productivity apps at the same time. Update: we're already seeing some prices listed at the £75 mark, excluding VAT (albeit 'out of stock', pre-order fans) at Oyyy.co.uk.